retiredmech - Box Assortment w/ Laser Photo burning. Here is one from a novice box builder. 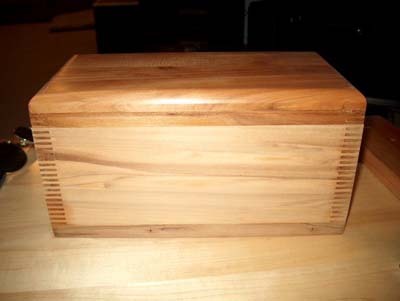 It is my first box and, lacking a good dado blade, was forced into fingers of a single blade width. 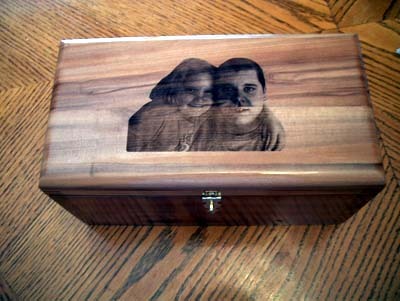 It is from Sweet Gum wood and the image was lazered on at a Trophy shop a friend owns. It was his first time to lazer wood. The finish is high gloss wiping poly.